Review of Diptyque’s NEW La Madeleine Candle – A Perfume House Made of Cookies? 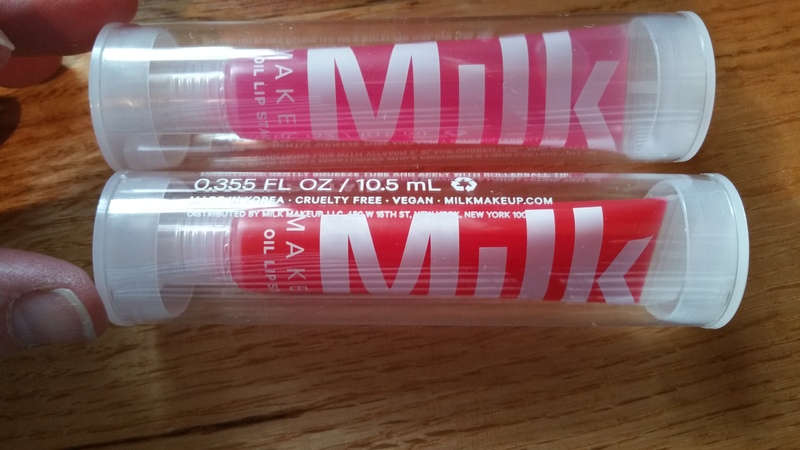 I’m going to be honest here and come out and say that I rolled my eyes the first few times I saw Milk Makeup products. It was annoying to see Milk getting so much attention just because it’s from some well known person or group from L.A. That and the models and pictures remind me so much of American Apparel, which also annoys me (am I being crabby?). Combine all that celeb level attention with the fact that Milk Makeup just doesn’t seem to offer anything relevant to me or anything special, and I was sure I’d never buy it. 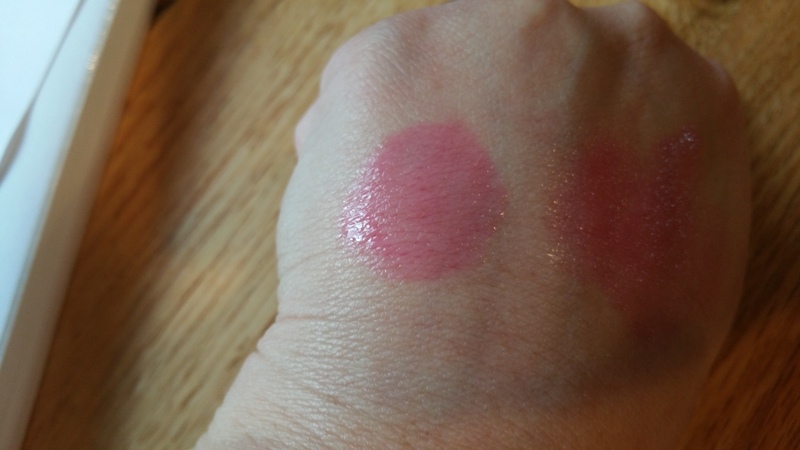 -Cheek color in a tube? We’ve seen that. 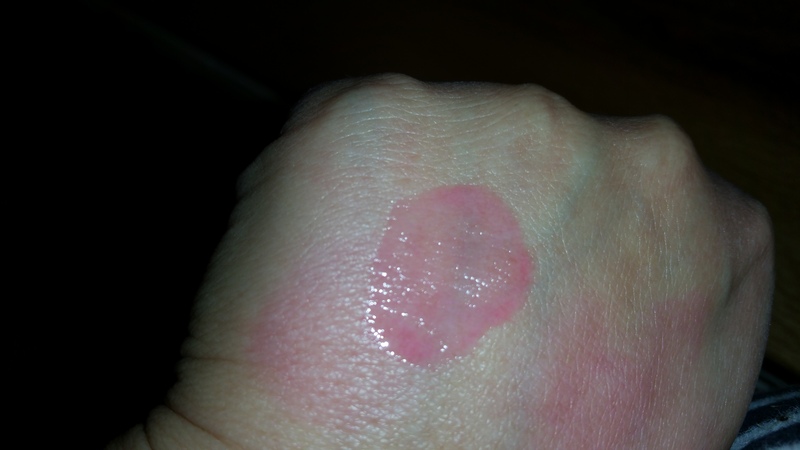 -Face gloss? There are others out there. 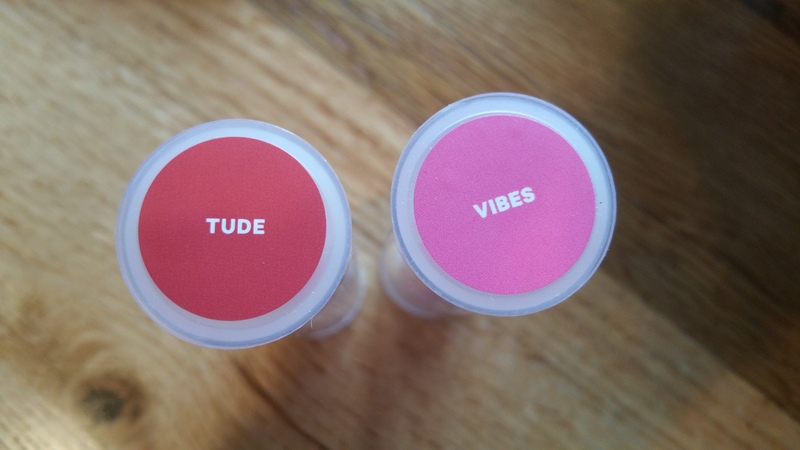 …Anyway, I bought both of the available colors of Milk Makeup Oil Lip Stain: Tude (Red) and Vibes (Hot Pink). Below is what I saw when I opened them up! 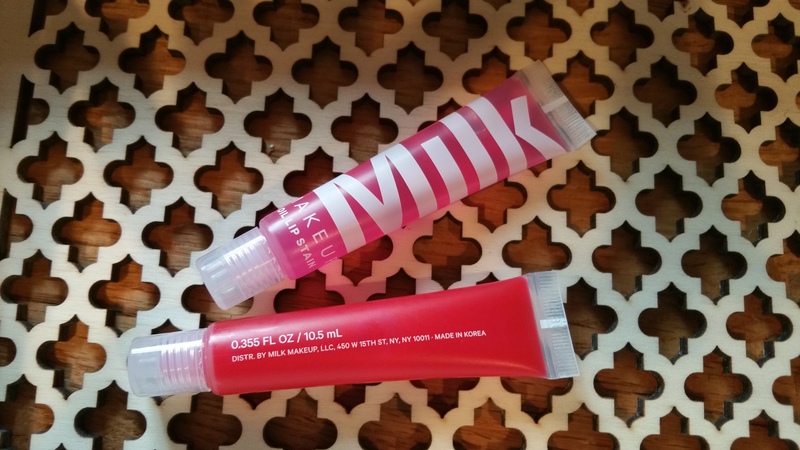 Milk Makeup Oil Lip Stain is in a squeezable clear plastic tube, with a small roller ball applicator. 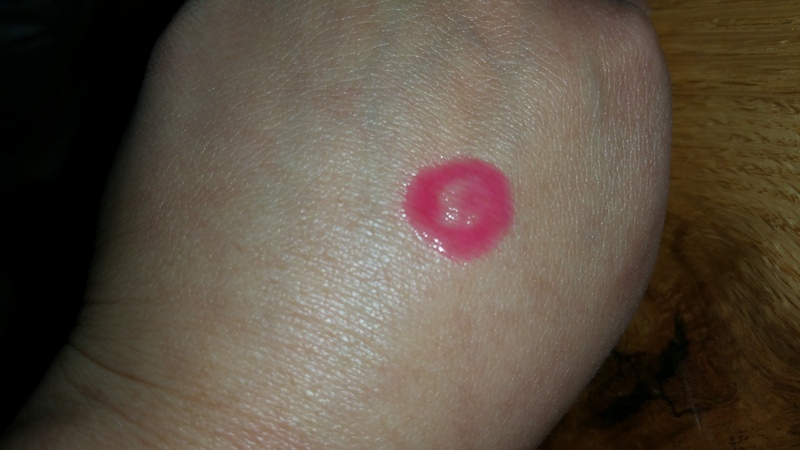 The roller ball is kind of cool, being that I remember the original roll-on fruity scented lip “glosses” from the 80’s. However Milk’s ball is so small that it’s tough to squeeze out enough product to coat the lips. There was no taste or scent, which I count as a positive thing since many of us don’t want either of those. I also like the fact that Milk posts its ingredients online for us to see pre-purchase. The ingredient list is short, which I like. And I don’t see many concerning items on the list– it looks like mainly oils and their derivatives and coloring. 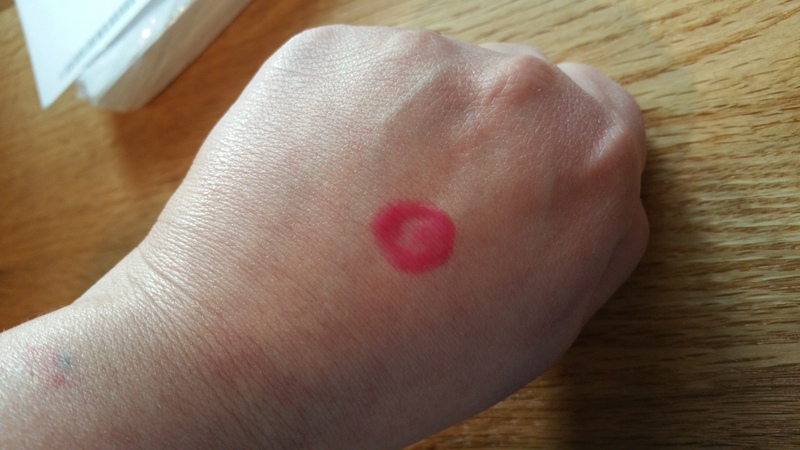 Vibe (Pink) Ingredients: Diisostearyl Malate, Triethylhexanoin, Octyldodecanol, Caprylic/Capric Triglyceride, Dextrin Palmitate, Red 28, Capryly Glycol, Tocopheryl Acetate, Ethylhexylglycerin, Red 27, 1,2-Hexanediol, Red 6, Diisostearyl Malate, Triethylhexanoin, Octyldodecanol, Caprylic/Capric Triglyceride, Dextrin Palmitate, Caprylyl Glycol, Tocopheryl Acetate, Ethylhexylglycerin, Red 27, 1, 2-Hexanediol, Red 28. 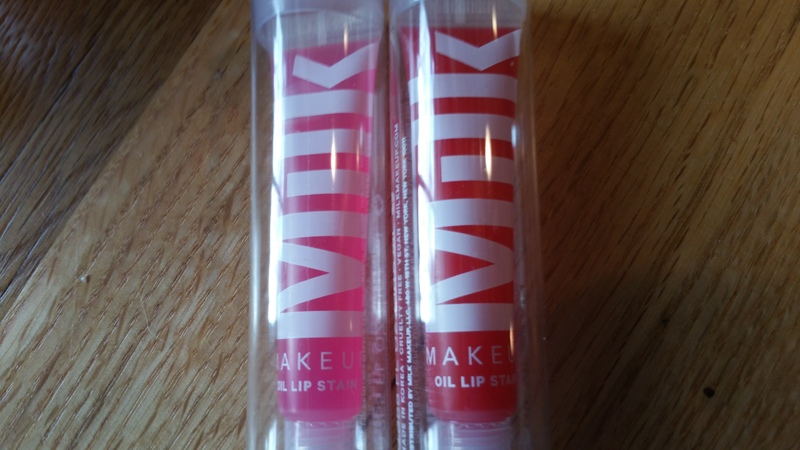 After trying out Milk Makeup Oil Lip Stain I feel less hostile towards the brand. I don’t think it will be a favorite of mine but I really appreciate the simple concept and straightforward ingredient list. I actually don’t mind seeing Milk on Sephora.com anymore! What do you think about this brand? I’d really love to know!